The BJP's earlier stint in power had it clashing repeatedly with the RSS on economic policy. The RSS harped on self-reliance, while the BJP-led government opened up several new sectors to FDI. A pragmatic Narendra Modi government is now setting the stage for neo-Swadeshinomics. Circa 2001. The then finance minister of the Bharatiya Janata Party (BJP)-led National Democratic Alliance (NDA) government, Yashwant Sinha, found his free market policies running into a wall of opposition from the Rashtriya Swayamsevak Sangh (RSS), a strong votary of the swadeshi brand of economics. Sinha, a firm believer in free markets, was pushing for opening up of various sectors to foreign direct investment (FDI), including insurance, retail, education and media. A note prepared by the commerce ministry under the then minister, Murasoli Maran, in 2001, had even pitched for 100 per cent FDI in single and multibrand retail. The intent to open up the economy went against the swadeshi philosophy of 'self-reliance,' and strained relations between the NDA government and the RSS, widely seen as the ideological patron of the BJP. Sinha was eventually replaced by Jaswant Singh. It was the stiff opposition from the RSS that stopped the government then from allowing more than 26 per cent FDI in insurance and opening up the education sector. A decade after it was voted out in 2004, the NDA government is back in power again. Much has changed since then. Globalisation has seen India's consumption basket evolve. It has also strengthened the domestic industry, which has shown it can take foreign competition head on and thrive. This has muted the RSS's opposition to further opening up of the economy. "You won't find the same voices of concern," says an RSS ideologue on condition of anonymity. "But there is a certain degree of caution still." It is evident that the RSS, which continues to exercise considerable influence on the government's policies, recognises the change in the ground realities. This is obvious from a meeting with Ram Madhav, spokesperson of the RSS. Visitors at his New Delhi office are sure to be offered Rooh Afza or mango juice without preservatives. A gold iPhone, a laptop and Mont Blanc planners rest on his desk as he speaks about the need for India to perform a fine balancing act between foreign investment and protecting the country's economic sovereignty. "Our idea of swadeshi is very broad, India's economic sovereignty should be protected. Sectors that generate employment in India should be opened to FDI," he says. The RSS's validation of FDI comes at a time when it is becoming increasingly clear that the Narendra Modi-led government will be pragmatic in its policies and will look to invite FDI into a host of new sectors. Finance and Defence Minister Arun Jaitley has hinted at the government's intent to hike the FDI cap in defence manufacturing to 100 per cent from 26 per cent at present. Hiking FDI in defence has faced stiff resistance from the defence ministry so far. The government is also planning to allow FDI in high-speed train systems, suburban corridors, high-speed tracks and freight lines connecting ports and mines, e-commerce and construction. Unlike during the earlier phase of NDA rule, swadeshi economists are now convinced of the need to invite FDI in infrastructure and defence, sectors which will create jobs and add to the country's technology bandwidth. But there are some reservations about the extent of FDI required in different sectors. Several conversations with RSS members reveal they would prefer 100 per cent FDI to remain an exception, if at all, and that, if they have their way, financial services and education could remain out-of-bounds for foreign money. 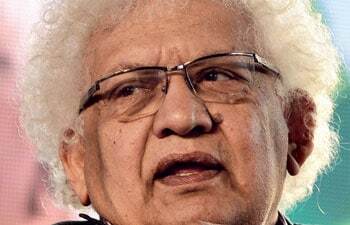 Free-market economists such as Lord Meghnad Desai are almost contemptuous of the idea of swadeshi and its utility in modern-day India. "Swadeshi is a complete waste of time. The idea of economics is that you don't worry about where things are made, you concentrate on what you do better," he says. "One part of the RSS believes in swadeshi, while the other, more sophisticated part has moved on. The so-called Hindu nationalist government is talking about 100 per cent FDI in defence. Once upon a time, the same people were saying no to foreign technology." The Jana Sangh, the ruling BJP's earlier avatar, along with a host of other political parties had strongly opposed the use of technology in banks in the 1970s, arguing that it would lead to loss of clerical jobs. In contrast, India's Prime Minister Narendra Modi and the BJP have spoken of building a "Digital India" and cities coming up along information highways. Modi was one of the first adopters of technology in governance - from making land acquisition processes more transparent to holding video conferences with villages to simplifying grievance redressal mechanisms - and ran the most sophisticated election campaign ever witnessed in India's electoral history. Today, some RSS ideologues argue that they were always pro-liberalisation. While the Swadeshi Jagaran Manch (SJM), the economic wing of the RSS, opposed India's membership of the World Trade Organization (WTO), it says it has always shunned Nehruvian socialism and stood for open markets and dismantling of the licence and quota raj. The Jana Sangh was criticised as a rich man's party for supporting free enterprise. But even as the BJP has supported the cause of free markets, it has always advocated economic safeguards and vehemently opposed addition of more items - particularly those of commodities and capital and agricultural goods - to the import list during the NDA's first stint in power. 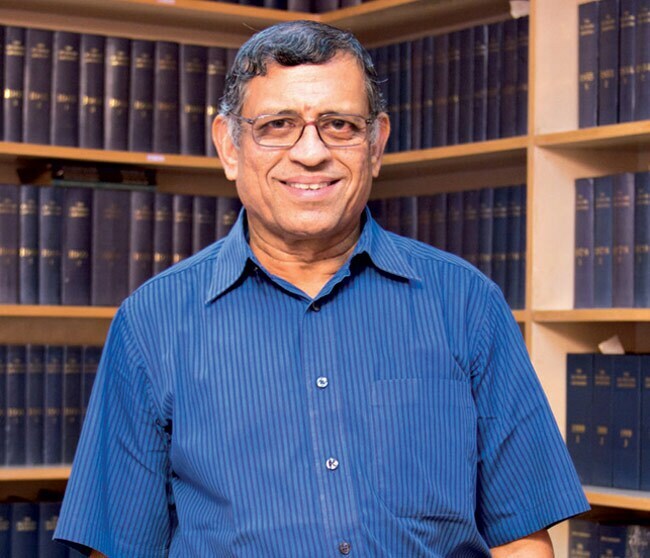 S. Gurumurthy, economic thinker and co-convenor of the SJM, believes that unchecked imports was one of the key reasons why India slipped from a current account surplus to a current account deficit (CAD) at present. The current account is a measure of a country's foreign transactions - a high CAD can be inflationary and also lead to currency depreciation. During the first stint of the NDA government, a current account surplus - $22 billion - was reported for the first time since 1978. Under the Congress-led United Progressive Alliance (UPA) government, India posted a CAD of $89 billion in 2012/13, a record in a financial year. The UPA has cited gold and oil imports as reasons for the high CAD. But Gurumurthy argues it was also a result of skyrocketing capital goods imports, which shot up from an average of $10 billion a year in the NDA period to $65 billion in nine years of the UPA regime (2004/05 to 2012/13). Extraordinarily high imports of capital goods nearly brought manufacturing to a halt, says Gurumurthy. Indeed, in the first four years (2004/05 to 2007/08) of the UPA government, the Index of Industrial Production (IIP) growth averaged about 11.5 per cent. For the next five years, IIP was down to an average of about five per cent. Meanwhile, capital goods imports during this period soared - of the total $587 billion in nine years, $407 billion was in the last five years. Such statistics, which indicate heavy imports of manufactured goods and a slide in domestic factory output, run completely contrary to the swadeshi model of economics, which is based on the concept of "self-reliance". "We destroyed manufacturing sectors by allowing imports. Nation should have the capacity to produce goods and services," says swadeshi agri-economist Devinder Sharma. Nearly 50 per cent of India's GDP still comes from the unorganised sector. According to the economic survey of 2012/13, only about 11.4 million are employed by the corporate sector. Some 90 per cent of employment comes from the unorganised, informal, non-corporate sector which is largely sustained on relationships and not formal financing. It is creating an ecosystem for this unorganised sector which forms an important aspect of swadeshi. "With FDI in defence, it is not as if they are giving up swadeshi. FDI in defence will augment domestic production capacity, in a way it is import substitution. The modern face of swadeshi is domestic production with state of the art technology," says economist and policy advisor with Ernst and Young, D.K. Srivastava. "The BJP does realise that globalisation is irreversible. So, it is swadeshi with a more modern face." Most senior RSS leaders concur. "We did allow single brand retail, that's how you have foreign brands in India. But it will be premature to open up multibrand retail to FDI at least for the next few years, and then perhaps we could look at it but with enough economic safeguards," says an RSS ideologue. Foreign investment that could displace commercial, trading and non-production (carpentry, masonry, etc.) activities will be a departure from the swadeshi code. "In defence, swadeshi has nothing to do with foreign investment, it is to do with foreign technology. India is one of the greatest importers of arms, but it does not use its buying power to get technology," says Gurumurthy. "You cannot get technology unless you create an arms manufacturing hub. Once you have technology with foreign investment, and technology grows in India, then there is no issue." The SJM faced strident criticism when it opposed India's entry into the WTO. The outfit though claims that its stand is somewhat vindicated today, pointing out that talks at WTO have collapsed due to the members' inability to reach a consensus on farm subsidies and industrial tariffs. But there is also a growing realisation now that India needs to strengthen its trade ties with the rest of the world and engage with it on its own terms. During the days of the Jana Sangh in the 1970s, India's exports and imports made up about seven per cent of its GDP - today it makes up for nearly a quarter of India's GDP. There was a lot of focus earlier on the consumption basket of goods that had to be in consonance with Indian values and there was much resistance to western goods. Swadeshi was not just about production capacity but also about what is to be produced. The idea was to check the consumption of western goods but the SJM does not highlight this aspect of swadeshi any longer. "Consumption patterns have globalised much faster than production capacity. Consumption basket has converged and there is no visible objection to this," says Srivastava. Fresh thinking on trade and economic ties with the world is evident with the Modi government's focus on reviving strategic relationships from day one - from inviting leaders of South Asia to his swearing-in-ceremony to discussing trade and economic engagement with the visiting Chinese finance minister. "We are dependent both for productive resources that can be brought into the economy and we need global economy to grow so that they can absorb goods produced in the country," adds Srivastava. Swadeshi doctrine then is reinventing and adapting to the changing economic realities. But it will be a while before the believers in the swadeshi model are convinced of the need for 100 per cent FDI in some sectors - there are already murmurs of dissent on the possibility of opening up defence completely. The Bharatiya Mazdoor Sangh, an RSS affiliate, has mounted a protest against proposed labour reforms in Rajasthan. Chief Minister Vasundhara Raje, considered to be close to Modi, has unleashed dramatic changes to labour laws which, reformists argue, have held back job creation. Raje has made it easier for business to hire and fire - reforms that have been vehemently opposed by the left and trade unions alike. Swadeshi activists also oppose the opening up of the farm equipment sector, as indicated by the Prime Minister. It will only lead to corporatisation of agriculture and the small farmer - who forms the backbone of agriculture - will lose out, they claim. It's clearly not its ideology that brought in the Modi-led government with an astounding majority, it was its pragmatism. And if pragmatic economics - which translates into "whatever is good for the nation" - is swadeshi, then India could very well adopt that model of growth. As Desai says, a broad definition of swadeshi is ordinary economics. Expectations and sense of hope from a Prime Minister has never been higher in contemporary India. "He is the first non-socialist Prime Minister of India. You finally have a man who has a vision for prosperous India," says a third generation capitalist, Ajit Gulabchand of Hindustan Construction. To say that Modi has a tall agenda ahead of him would really be putting it mildly. For now with his linen kurtas and designer jackets, use of Hindi as the language for official communication and seeming clarity of thought on policies and issues, Modi appears to have found the right balance, but then it is really early days yet.